We could all use a super hero every now and again, right? Sometimes, starting a new work week can be challenging. We brace ourselves for another week of early mornings, rush hour traffic and deadlines. Yep, we could all use a super hero every now and again. Here’s your cape. Now, tap into your inner super hero, and go make it a great week! I’m wearing it right now. Just the cape. Nothing else. Was that your intention? Hot Joe, here I come to save your day!!!!! “Here I come to save the day!” What is that from? It is playing in my head. It’s too freakin’ cold here for me to even think about wearing the cape and nothing else. Pssh. Like my turtleneck wearing-self would even think of such a thing. Mighty Mouse. Is that your cape, or a kid’s? Just the idea of it is super! I hope you have a super hero of a day, Chris. Thank you for visiting. A good day is up to you … buuut the cape might make one feel you could fly. Exactly, Maxi. Blessings to you. Happy flying! Like the thought behind this photograph a lot. “tap into your inner super hero, and go make it a great week!”- we all need to remember this. Great piece of advice Lenore. Thanks, Arindam. Go out and be the super hero! Something tells me I’d totally trip on the cape. 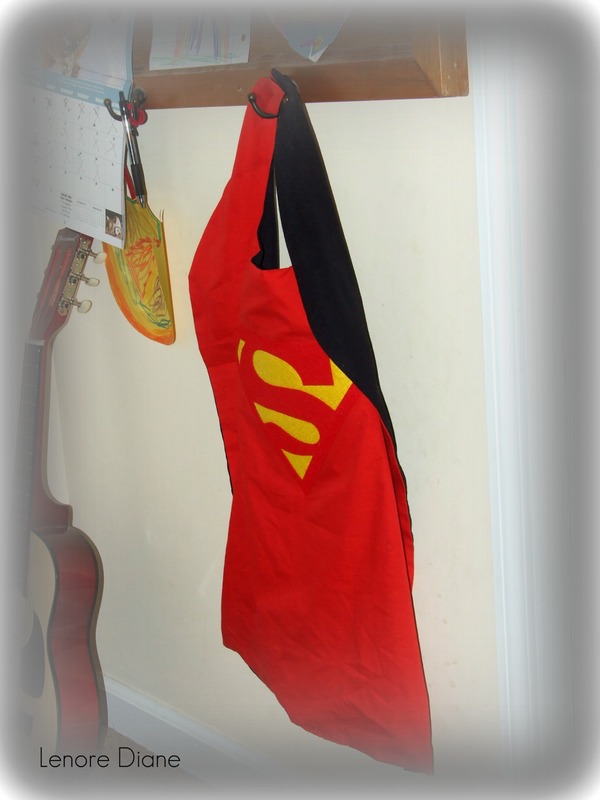 Yep, mom’s deserve one of those capes! We do, indeed, Patti. Thanks for visiting! I heart Jim Croce. Nice pull, Steve.